Thank you for considering Land & Seascapes for your next project. Phone or e-mail me (Steven Katz proprietor) to make an appointment to accompany you on a walking tour of your home site and grounds. CALL ME NOW to schedule your personalized garden evaluation to reveal its amazing potential. While on site at your residence, I'll provide you with a list of client references, share my inspiring portfolio with you and create a design concept all within your budget. 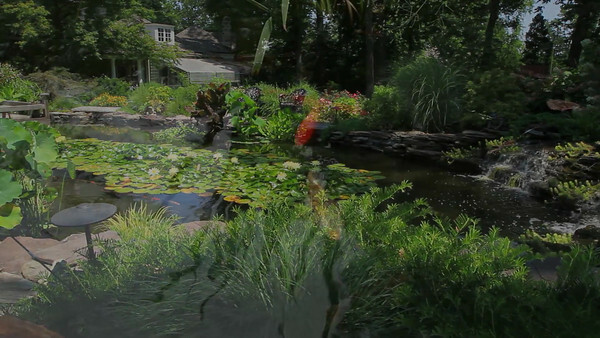 Click on the Garden Tour Video tab above to preview one of our handcrafted Water garden, Lighting and Landscaped Home Sites. My crew and I will create a new garden environment at your residence that will boast splendid color in each of the seasons, ornamental rock and water gardens, enchanting displays of outdoor illumination and interlocking paver and masonry projects. Count on us to arrive on time with tremendous enthusiasm and work along a swift timeframe with attention to detail. Thank you for visiting our website. Count on us to always exceed your expectations!